Curious and a good deal. Got way too much of this hop, so use it for both bittering and aroma/flavor additions...never dine me wrong. Incredible fruity smell and taste! Decent hop for the price, but the flavor is a bit lacking. Exactly what I wanted, not too extreme, very pleasant fruity flavor, with something in there you just can't quite put your finger on. This is our favorite hop. Light, fruity, floral, not acidic on the palate. 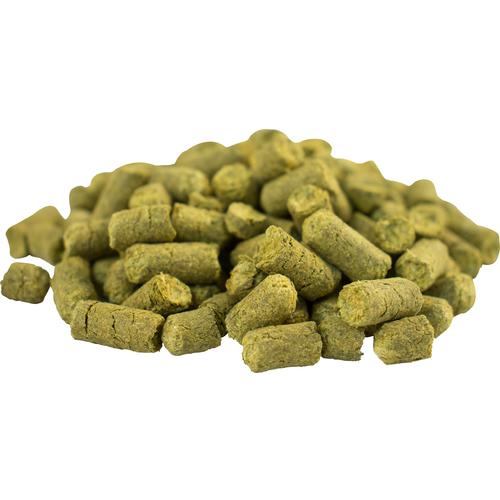 We use it as the flavoring hop in most of our recipes. Great for IPA, wheat, and honey beers. This was the perfect finishing hop for my Angry Blonde recipe. Just spicy enough and not too fruity. These hops smell great! They truly do smell like apples and pairs! I will definitely use these again. Fairly new brewer, still finding my way through flavor profile. Brew a pale ale, with calypso, Amarillo, and citra. Hard to know exactly which hop contributes which flavor. But I was looking for more stone fruit and tropical flavors and aroma and definitely got that. There is more info on the Amarillo, and citra. May use again in a single hop brew.